Yes, all that water doesn't exist and hasn't existed for a very very very long time. 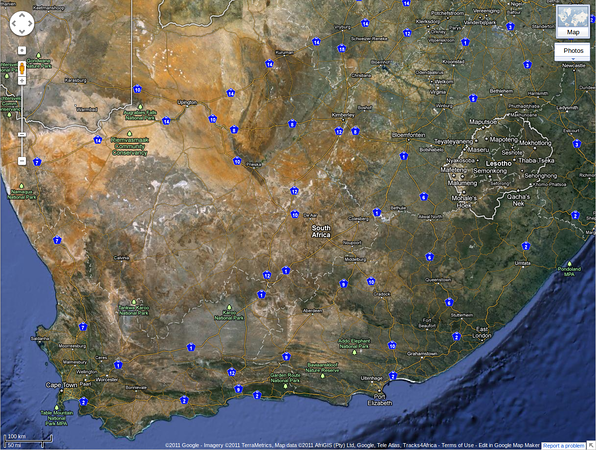 To the north of the Northern Cape is the Kalahari desert. Everything between the northern border of South Africa and just south of the Karoo National Park is the Karoo which is a semi-desert. The chances of water existing between the two in such quantities is probably neigh on nil.